DSC03298, a photo by CAKE Amsterdam - Cakes by ZOBOT on Flickr. Not sure what to call this one... ??? 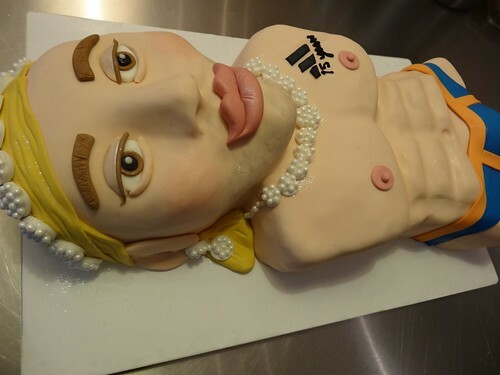 Totally bizarre cake, but a good example of how I work with all my customers to combine their wishes no matter what they are to create a one of a kind cake. This cake was for an office party celebrating this man's 15 years of service... it's a joke cake, as I was sent a picture of Maxima with his face photoshopped in.